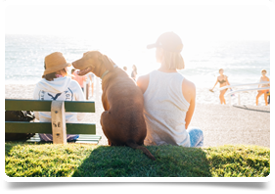 Head Medical are assisting an Australian mental health service with the recruitment of a Consultant Old Age Psychiatrist in a beautiful coastal region in Queensland. Remuneration package of up to AU$425k + oncall - dependent on consultant years of experience. Simply sensational location and lifestyle opportunity - a genuine stunning part of Australia with so much to see and do, both on the water or on land, whether you live on the beach or inland. Make a huge contribution to delivering first class psychiatric care to a catchment population of 200k+ within a multidisciplinary team context. This region offers sensational lifestyle options for singles, couples and families with a range of picture perfect options. Further, property prices are affordable. You can secure the amazing house by the beach and enjoy evening BBQs or watch the kids play in the sand at the weekends. Or you live on an inland acreage with a swimming pool, stables, hobby farm etc. There are private schools in the region. Professionally, this opportunity will reward you with a small service in which to make a large difference. You’ll have sensational job scope and you won’t just be a number in a large service. Further, your work will make a massive difference to the local community. The service delivers comprehensive assessment and treatment of patients with complex mental health conditions within a multidisciplinary team context. This is done in a range of settings including acute inpatient and community mental health. Your goal will be to deliver first class clinical and non-clinical care within this team based framework and with a patient centred philosophy. You will also provide supervision and guidance to a registrar, work collaboratively with your medical colleagues and all stakeholders. Other areas of focus will include teaching, audit and research. 3 years of post specialist qualification consultant/specialist experience (for RANZCP approval). completed your training in either UK, Ireland, New Zealand, Canada, South Africa or USA (for RANZCP approval). have completed 6 months of CAMHS formal training post in your basic or advanced (for RANZCP approval).